Natasha Childs runs through what is being done to keep fish happy in central Murray rivers. 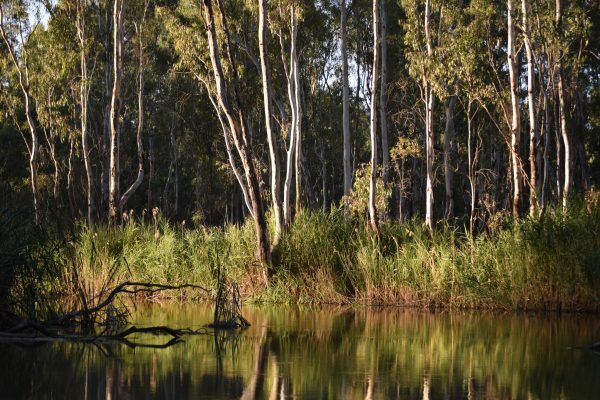 Rivers in the central Murray valley once teemed with native fish like Golden perch and Murray cod, both primary sources of food for Aboriginal people. These large-bodied fish were also abundant during the early days of European settlement, and anglers were assured of a catch. During high seasonal flows, creeks provided extra territory for the fish to feed or breed. Wetlands were a favourite nursery habitat for young fish seeking food and a safe haven, and every part of the floodplain, from ephemeral creek to wetland depression and river channel, played a vital role in providing food and habitat, as well as transporting both fish and essential nutrients throughout the system. As human demands grew, however, dams and weirs were constructed to ensure a steady supply of water for towns and farms. These structures have permanently changed the way rivers function today, native fish can no longer access all parts of the river and floodplain, even during high flows. Natural breeding cues have been interrupted, and opportunities to re-populate sections of the river system are obstructed by dams, weirs and changed river regimes. The life-giving flows that used to flush food from the floodplain into the rivers now occur much less frequently, with the result for native fish being less food, fewer breeding cues, reduced habitat, impeded passage, and populations that have been declined substantially since river regulation. Water managers, fish ecologists and anglers alike are now working to arrest this decline and improve the health of local rivers for the benefit of native fish and local communities alike. 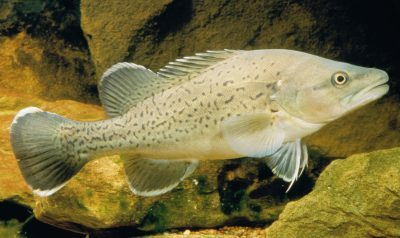 Murray cod. Photo by N. Childs. Golden perch. Photo by G. Schmida. Trout cod. Photo by G. Schmida. Researchers and NSW Office of Environment and Heritage (OEH) water managers are working together to deliver flows and monitor fish responses to different flow interventions. The work is being done in selected waterways within the central Murray valley, along the Edward River and Gulpa Creek. 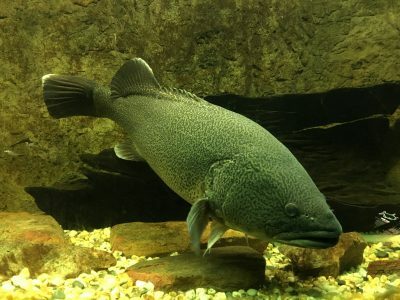 The population structure of large-bodied native fish is being assessed, with 40 Murray cod and Trout cod tagged so their movement can be detected by acoustic loggers installed throughout the system. Fish ecologist Dr Clayton Sharpe said if appropriate flow regimes were provided, the creeks and anabranches of the central Murray floodplain offered ideal habitat for large-bodied native fish. “There is real potential to restore and expand Murray cod and Trout cod populations throughout hundreds of kilometres of creek habitat in the central Murray region by applying flow regimes that match the lifecycle requirements of those species,” Clayton said. 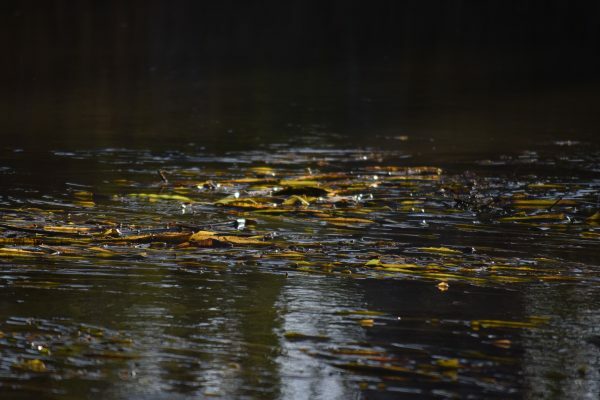 “So, while creeks can provide excellent habitat, inappropriate flow regimes, weirs and other water management structures limit their usefulness for native fish populations to be able to expand and ultimately repopulate there ever system,” he said. Aquatic vegetation catches the last sunlight of the day. Photo N. Childs. “These components are present across hundreds of kilometres of central Murray anabranches – with the exception of perennial flows,” Clayton said. “At present, our river systems are more-or -less shut down during winter when demand for irrigation water subsides. This is effectively the bottleneck that dictates the carrying capacity for large-bodied fish populations. By restoring these crucial elements of flow regime we are confident that the floodplain creeks and anabranches of the central Murray can once again become the engine rooms for Murray cod and other native fish recovery. That gives the central Murray an opportunity to expand permanent, self-sustaining Murray cod and other large-bodied native fish populations,” he said. The knowledge gained through this research will be used as part of an adaptive management project being managed by OEH and co-funded with The Living Murray Program. Water for the project has been sourced from the Commonwealth Environmental Water Office, The Living Murray and River Murray Increased Flows. The Gulpa Creek at sunset. Photo N. Childs. Senior Environmental Water Manager Paul Childs said the trail had great potential to demonstrate the role of fish-friendly flows in restoring the capacity of floodplain creeks to breed native fish and repopulate the system from a local source. 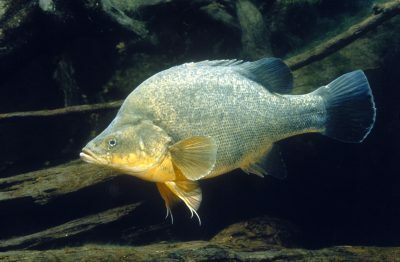 “At present, research tells us that most Golden perch in the central Murray have actually originated from the lower Murray and Barwon-Darling rivers. This project is a terrific opportunity to establish best practice principles that restore flows and open up the rivers, creeks and anabranches for use as nursery habitat and native fish breeding grounds,” he said. The research project will assess improvements in fish populations, redistribution and dispersal of fish and population structure over time. You can download a pdf of the article ‘Fish friendly flows in the Central Murray‘.